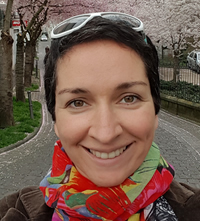 Welcome to our website! In our store, you can find high quality and naturally harvested Palo Santo Wood Sticks with great aroma and purifying properties. 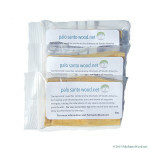 If you are in love with palo santo and use it quite regularly, this is your option. You like palo santo and use it with some frequency? Then this is your option. If you are looking for a small quantity of palo santo wood. This is your option. 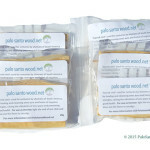 What is Palo Santo Wood? (Bursera graveolens) has been valued for its therapeutic properties since centuries ago. The direct translation from Spanish means ‘holy stick’. It is harvested from an indigenous tree in arid areas of South America. The tree belongs to the same family as myrrh and frankincense, which are classified as Burseraceae. It is used for a wide variety of purposes ranging from medicinal tea, incense and palo santo essential oil production, to home furniture and flooring. The tree is easily distinguished by its bright green leaves only present in the rainy seasons and its whitish-gray bark. It is a ‘half height’ tree (growing no more than 20 meters – about 65 feet). The fruit of this tree is a dark green color but is not used. The trunk and branches of the tree are utilized. 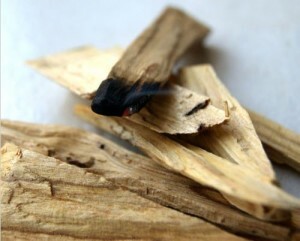 Experts say that it is necessary for the wood of the palo santo wood tree to be “dead” to be able to extract the essential oils and it’s essential that the tree is dead for at least four years to obtain the best quality. Locals often use the wood in the production of handicrafts, tea and incense sticks, mainly used for religious / spiritual, and health purposes. There are many benefits and the spiritual significance of explains the reason why it is called `holy wood’. Traditionally the sweet smelling aroma of the wood is harnessed through the use of ‘smudging’ to drive away negative energies from one’s aura or home. It is believed that when the incense is lit it eliminates stagnant or negative energies and purifies the space, bringing uplifting positive energies, higher vibrations, and good luck. 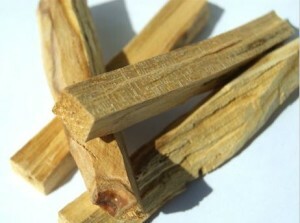 The soothing aroma of the palo santo smoke is often used to give your house a sweet smelling aroma and feel. Some people harness the power of this sacred wood for homeopathic purposes. It has been attributed to having the capability of assisting in the healing of colds, arthritis, and asthma among other diseases. Our Palo Santo wood is 100% natural, untreated, and hand selected only from wild trees that have naturally fallen on the ground in the protected forests of Ecuador. No live trees are destroyed in the collection of the sticks we provide. Our palo santo is harvested alongside a robust reforestation program that has planted around 40,000 trees, as of date. Every purchase you make with us supports the replanting of these sacred trees. Once a live tree naturally falls (after an average lifespan of 40 years), the trees go through a process of ‘curing’ which draws the essential, aromatic oils into the heartwood. If a tree is cut down and used right away it will not have the same aromatic properties. The longer a tree is cured, the more potent it’s aroma and oils become. All of our products are created from trees that have cured an average of 8 years and are harvested in sustainable, legal practices. In this video, I show you how you can burn the sticks for incense. When using the it as incense, light one of the sticks. Once the stick is on fire, it will burn independently for a minute or so, then extinguish itself. The short burning period is adequate to produce smoke that will give your house a sweet smelling aroma. The slow burning nature of the wood makes it possible to use on several occasions. In some cases, it is often grounded into powder and used as a component of making incense mixtures. It blends excellently with a variety of other woods such as sandalwood, copal resins, benzoin and balsams among other kinds of woods. The delicately sweet, warm and rosy-woodsy aroma of the wood makes it an appropriate ingredient for use in aromatherapy products and perfumes. The wood has also been utilized for culinary purposes as a food flavoring component. For medicinal purposes, the wood is antiseptic and is often used for the treatment of inflammation, tension, convulsions, dermatitis, acne and wounds. 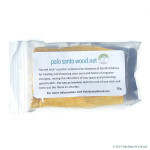 Palo Santo is also used in homeopathic treatment for anxiety and panic attacks, as a respiratory treatment for asthma, cough and colds, for migraines, headaches and also in massage therapy to address pain and inflammation of joints and muscles. This is why it is common that Palo Santo has been used to support rituals, religious ceremonies and in alternative therapies, all based on the metaphysical properties of some of its natural elements. The smoke that the lighted wood creates helps cleanse any “negativity” and at the same time purifies the room or space. Those who wish to promote a calm and relaxing environment usually do it by burning a piece of “Holly wood”. It is sold as “incense” but you can also find the leaves in dietetics. It is important to know that palo santo can only be ingested as a tea. It is said that women use the tea as a natural contraceptive. Many people use the smoke to fill rooms where there are family discussions, general living spaces, in their car, and to promote an atmosphere of calm and concentration at the office. As for numerous archeological excavations, today we know that Palo Santo was used by the ancient Inca culture. The priests burned the wood to attract positive energies, keep away bad spirits and promote contact with benefactor gods. Ritualistic sacred bonfires were fueled with the precious aromatic wood to protect the ceremony location. On the other hand, the rest of the people used palo santo daily for prayers, the promotion of good moods, and for purifying of their homes. With the discovery and conquer of America, it became known as “quebrancho” (a native word that means something like “breaker”), because the Spaniards broke their axes when trying to cut its hardwood. According to native legends, newly married couples should plant a branch together, without being seen, to bind their lives and make the marriage become eternal. As we can see, Palo Santo is almost a miraculous tree that can contribute greatly to enrich our lives. It doesn’t matter if we believe in its properties or not. Simply put, no one could deny that lighting it to smell its sweet aroma will offer a sensation of incomparable harmony and well-being. Visit our store and give yourself, a loved one or a friend a great gift.